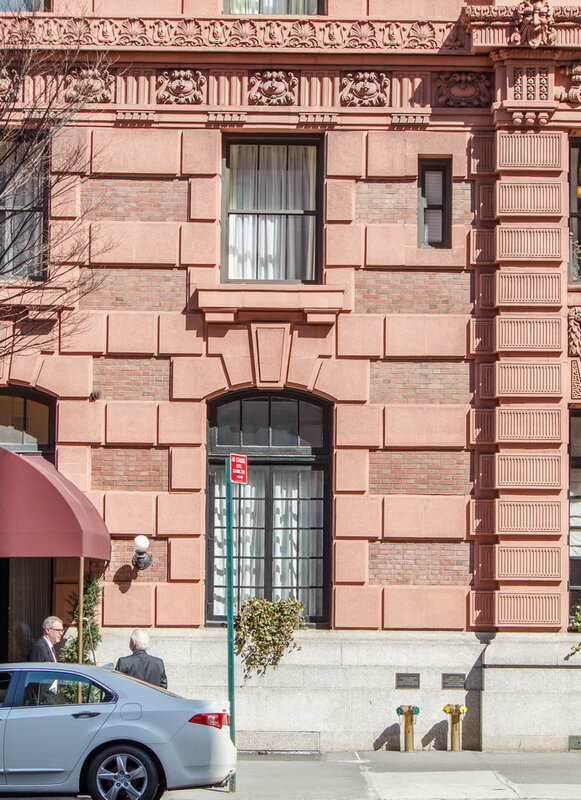 February 22, 2015 Manhattan1904, 201 W 79th Street, beaux arts, Harry B. Mulliken, hotel, New York City, upper west side, uws. 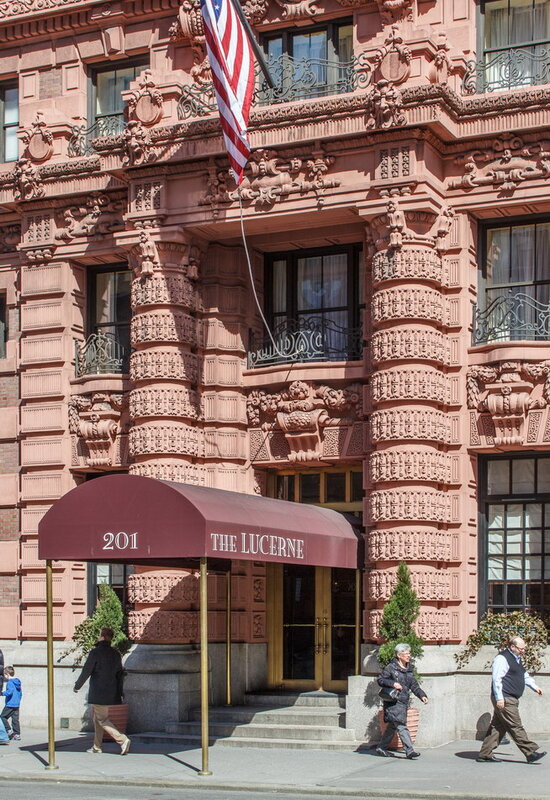 The Lucerne Hotel is distinctive for its bold color as well as its bold Beaux Arts style and uptown location. 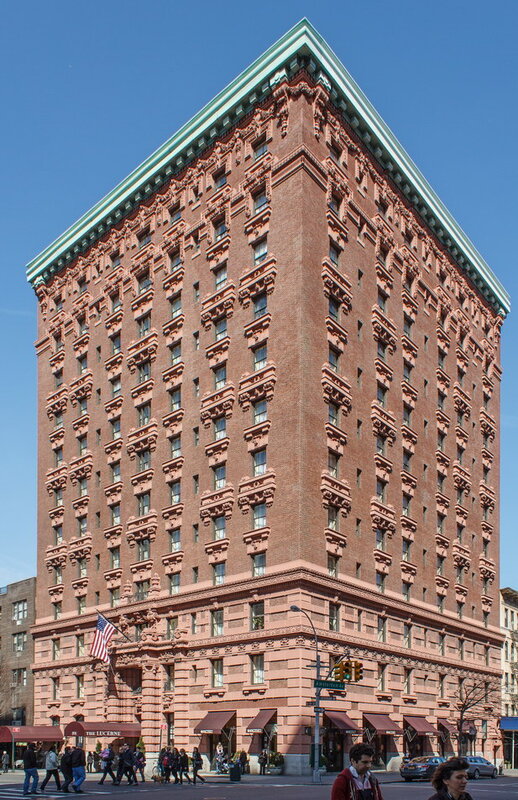 Opened in 1904 as the Hotel Lucerne, the building was converted to a condominium (not to be confused with Lucerne Apartments on East 79th Street). 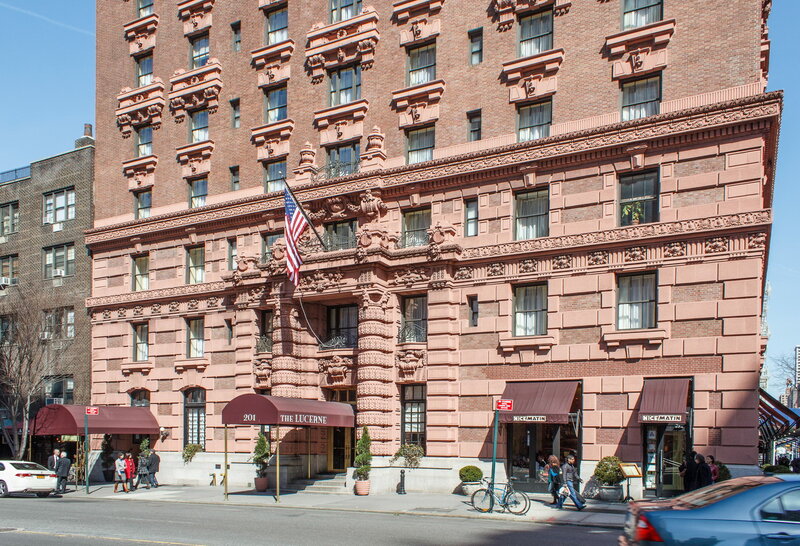 It’s a hotel again – with the name reversed to Lucerne Hotel. 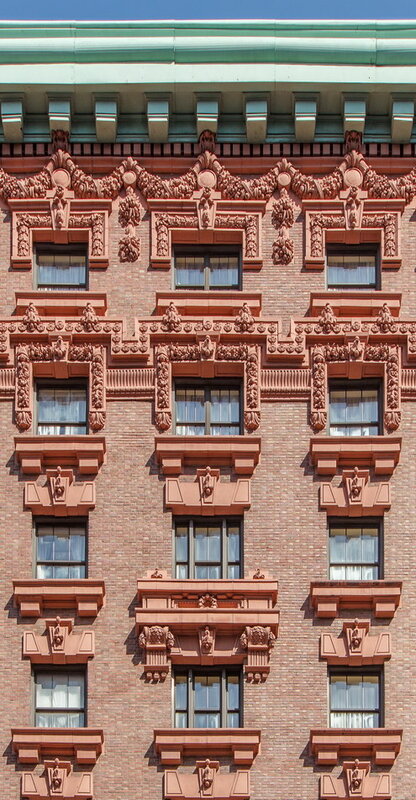 During a 1999/2000 restoration, the owners replaced a missing cornice (on the Amsterdam Avenue facade) and refinished the terra cotta.